, to get half-price, same-day tickets to a Loop theater performance. 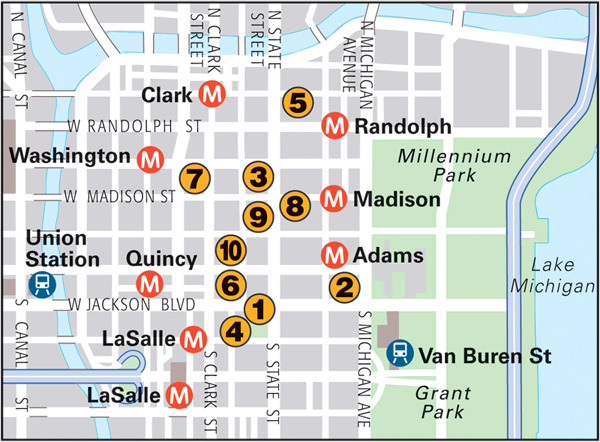 Continue along Michigan Avenue, past the Chicago Cultural Center , and south to The Art Institute of Chicago. A whirlwind tour of the highlights , all conveniently located on the upper level, can be done in a couple of hours, though you may want to come back for a second helping. Either have lunch in The Art Institute’s outdoor café or head west along State Street to eat at Macy’s legendary seventh-floor Walnut Room, a Chicago fixture since 1907. Then burn off the calories by shopping your way around the vast store and along the famous street that it’s situated on. For pre-theater dining, try the sophisticated Rhapsody , convenient for the Symphony Center Or, on weekdays, try the all-you-can-eat buffet at Trattoria No. 10 . After the show, hop a quick cab ride to stylish Nine for a cocktail or some dancing late into the night in the slick second-floor Ghost Bar. At 16 stories, this Holabird and Roche designed building (1891) is one of the world’s tallest all-masonry high-rises. Inside, there’s a magnificent wrought-iron staircase . Holabird and Roche also built this 1895 Chicago School structure with a steel skeleton and decorative ornamentation. Daniel H. Burnham’s stunning glass-and-white-glazed-terra-cotta building (1895) is now the Hotel Burnham. Another Chicago School edifice with a steel structure, this 1896 neo-Gothic building is also by Daniel H. Burnham. 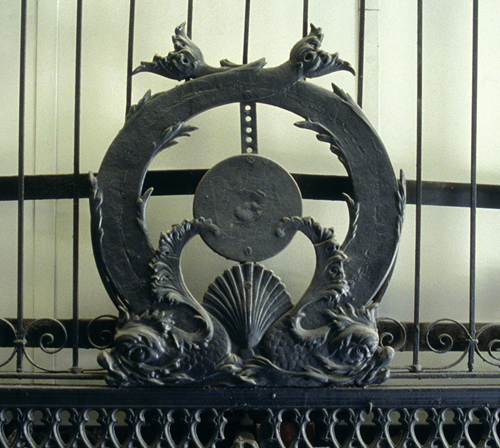 Aquatic motifs on the façade honor the building’s first owner, L. G. Fisher. 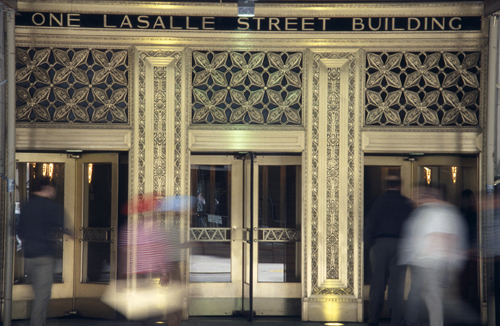 Eye-catching cast-iron swirls on part of the exterior of this building (1899 & 1903) express architect Louis H. Sullivan’s love of elaborate detail. Daniel H. Burnham designed this elegant high-rise in 1904: its carved building signs are from Chicago’s days as a railroad hub. The ground level houses the Chicago Architecture Foundation. 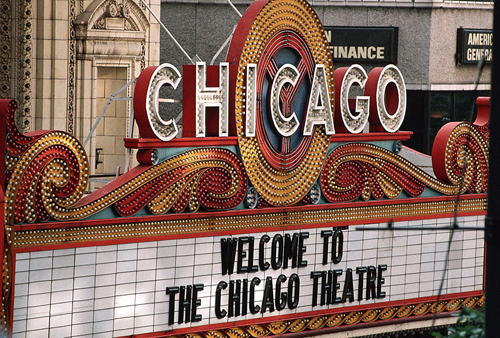 The red marquee of this Beaux Arts-style theater is a symbol of Chicago. Built in 1921, today it is a performance venue. This 1930-built, 49-story building was Chicago’s tallest for 35 years, and is one of the city’s best surviving examples of Art Deco architecture. One of the first skyscrapers to be built (in 1957) on steel, not concrete, pilings. It predated the John Hancock building in using external supports. Flanked by Ludwig Mies van der Rohe’s federal buildings, this plaza (1959–74) contains Alexander Calder’s striking statue Flamingo (1974).